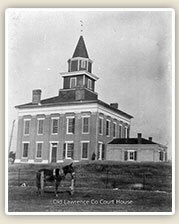 In addition, to assist the public in historical and genealogical research, family Bible records (copies only) and family histories are afforded the same treatment (except for duplication) as the Government records. 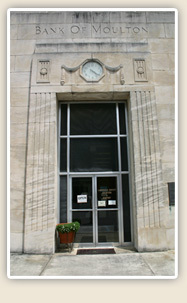 Please note that artifacts of historical significance are not solicited. 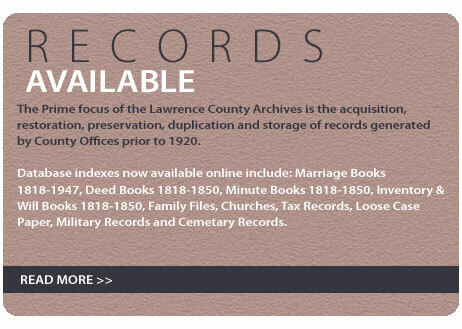 The Lawrence County Archives web site is designed to provide you information on how to access valuable local records that may assist you with checking a veteran's military service, your family's history, a historical topic of interest to you and more. 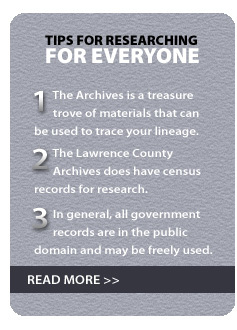 For those new to genealogical research, we have provided a Tips for Researching section or, to further assist you, local researchers who are available for hire. For a detailed list of available documents and facilities, go to our Files Available list or if you require duplicates of documents, visit the Order Copies area. 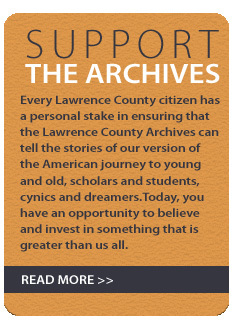 Other helpful sections are how you may support the archive, how to become a member of The Lawrence County Historical Commission and a map to the archives.